The wicket-keeper batsman Wriddhiman Saha, who has returned to action after a long injury lay-off will be eyeing the upcoming Indian Premier League (IPL) to make a mark ahead of the first Test Championship campaign against Windies. Meanwhile, during this period Rishabh Pant has stepped up to become Indian National Cricket team’s premier Test wicket-keeper. However, Saha has made more than a decent comeback playing for Bengal in the ongoing Syed Mushtaq Ali Trophy. Although his side failed to qualify for the finals, Wriddhiman Saha made good use of the opportunity. He has scored 306 runs in 11 Mushtaq Ali Trophy games including one century and two fifties. He has done an excellent job with the gloves on. 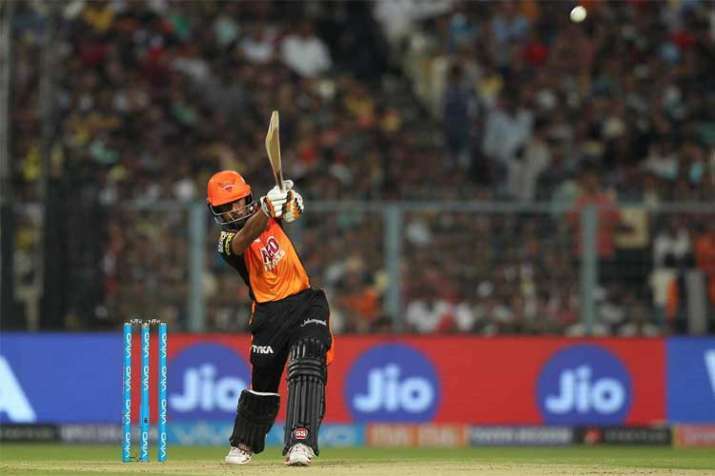 And now heading toward the 12th edition of the IPL, the Bengal wicket-keeper wants to open the innings for his side Sunrisers Hyderabad. However, the decision solely depends on the management and this cash-rich league has a greater significance as he is returning after so many months. “Of course, I would love to open in the IPL but the decision is totally up to the team management. I have returned after so many months. So this IPL has an added significance,” Saha said. Also, Wriddhiman Saha added that coming down the order doesn’t help his cause as he has to charge from the first ball. However, as per his style of batting, Saha takes few deliveries to settle before takes it to the fifth gear. Last year, Saha batted in the lower-order in the first few games and noted that he was happy with his performance. But he also stated that there is always a scope of betterment and he will strive for that. “In the first few matches, I batted down the order. When I came on to the crease, there were a few overs left. So I had no time to settle and had to play big shots. Twice, I was run-out. I am satisfied with my performance but yes it can always be better,” he added. In the 115 IPL games, Wriddhiman Saha has scored 1679 runs including a century against Kolkata Knight Riders in the final of the 2014 edition of the IPL.